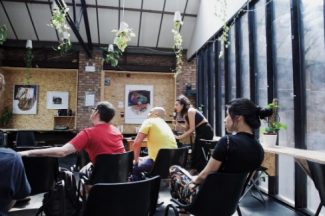 Co-working spaces, accelerators, incubators, makerspaces and artist studios are essential to London’s start-up and creative communities. Demand for shared and affordable workspace is high and the industry is enjoying fast growth. Future of London is a longstanding champion of SME workspace. Its Workspace That Works programme reached 200+ cross-sector organisations through field trips, networking events, and a major piece of best practice research. On November 14, to coincide with Global Entrepreneurship Week 2018, Future of London and LB Hackney, with support from WSP and Potter Raper Partnership, brought together 100 public and private landlords, developers, workspace operators and planning/policy decision-makers in a half-day conference, Workspace for All. Panellists discussed ideas for fostering greater workplace inclusion and diversity – of providers, tenants, and types. SMEs make up 99.8% of all businesses in London and sustain approximately 50% of all employment. These businesses have increased by almost one third in the last six years, but it’s also true that 80% of start-ups fail within 18 months. Particularly in London, a key factor is affordability. John Spindler, CEO at Capital Enterprise, pointed to the impact of the 2016 Business Rates Revaluation. Open workspaces have traditionally offered flexibility to start-ups, creatives and SMEs. 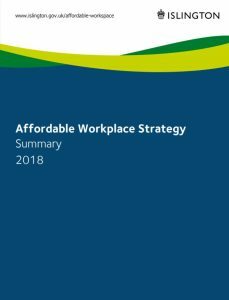 Capital Enterprise’s research found that since the revaluation, open workspace providers’ collective business rates liability has almost doubled (from £5.58m to £10.59m), and 30% of small providers have dropped off the map. The combination of rising rates, formidable rents and rapid growth of larger, more commercial providers is squeezing smaller, community-focused workspaces. While the need to build housing has, in some boroughs, overshadowed the affordable workspace crisis, other authorities are intervening to provide both. Conor Cusack, Inclusive Economy Team Leader at LB Islington, explained the borough’s Affordable Workspace Strategy, which requires developers to provide affordable workspace through the planning process. To date, 4,000 sqm of office and workshop space in commercial developments has been secured across a range of sites, including prime spots in the Old Street tech cluster. This will be let to local entrepreneurs and start-ups at genuinely affordable rents. Operators are innovating too. Juliet Can, Director at Stour Space, a creative social enterprise in Fish Island, explained that the organisation uses a cross-subsidy model to square the circle by offering studio space that costs £50 per sqm to maintain, at a locally affordable price of £15 per sqm. In the face of rising land values and an ever-changing city, maintaining affordability needs constant attention. Simon Pitkeathley, Champion for Small Business at LEAP sees value in “getting creative at the margins”. Meanwhile use and temporary spaces are governed by less rigid policies, offering opportunities to experiment. For all spaces, at all price points, the question of who the space is for is crucial and changing fast. George Lee, founder of Age of No Retirement, observed that when the concept of retirement first emerged in the 1930s, people would live an average of three years after stopping work. Today, the typical 65-year-old will have another decade of healthy life – many are using this to volunteer or work part time. This is a significant opportunity. Research from Mercedes found intergenerational working groups to be more innovative and, simultaneously, working longer provides a sense of purpose – keeping people healthy. For the benefit of economies and people, workspaces must adapt. BMW redesigned their assembly lines to facilitate older works, but in doing so improved user experience for all. Research from WHO shows designing for places with older people in mind can bring health benefits for everyone. Both Lee and Cany Ash, a founding partner at architecture practice Ash Sakula, advocate for creating inclusive workspaces based on commonality of interest rather than age or characteristics – the workspaces of the future should strive for accessibility, flexibility and features that bring people together based on skills and values. Looking further ahead, Harry Knibb, Principal Consultant for Sustainable Places at WSP, outlined coming challenges. From climate change to densification to tech innovation, Knibb suggested the answer could lie in a wellbeing-centred approach (mroe detail in Harry’s guest post). He urged delegates to think beyond the office: traditional workspace is only part of future provision, the whole city is the workspace of the future. Across all commercial offers, inclusion is key. For Francesca Colloca, Senior Regeneration Manager at LLDC, East London’s local networks are the answer to sustaining a fast-growing ecosystem of enterprise in the long term and creating sustainable supply chains. Work to engage local people in coming ventures should begin as early as possible and operate not as a one off, but as an ongoing process. The issues are evolving and the importance of workspace for economic and social impact at local and regional scales is perhaps even greater today than ever before. A challenging context makes the delivery of inclusive, future ready spaces all the more vital – getting it right is the responsibility of all urban stakeholders. Subscribe to Future of London’s mailing list or visit our website to learn more about the Workspace that Works project.